This privacy statement (“Privacy Statement”) applies to the treatment of personally identifiable information submitted by, or otherwise obtained from, you in connection with the associated application (“SLMemes”). The Application is provided by SLMERC7 Concepts. By using or otherwise accessing the Application, you acknowledge that you accept the practices and policies outlined in this Privacy Statement. 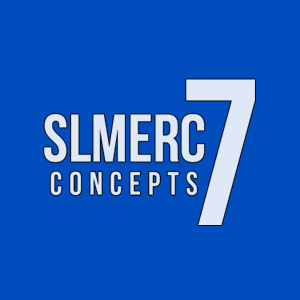 WHAT PERSONAL INFORMATION DOES SLMERC7 Concepts COLLECT? We only collect analytical data such as mobile device information, demographic information, and any other information necessary for us to provide the analyse and improve our services. We do not collect any personal information regarding the user. HOW DOES SLMERC7 CONCEPTS USE THE INFORMATION IT COLLECTS? SLMERC7 Concepts uses the information described in this Privacy Statement (i) internally, to analyze, develop and improve its products and services, and (ii) as set forth below in the “Will SLMERC7 Concepts share any of the personal information it collects” section below. SLMERC7 Concepts will not provide personal information to the applicable Application Partner. WILL SLMERC7 CONCEPTS SHARE ANY OF THE PERSONAL INFORMATION IT RECEIVES? Application Partners: We do not share your personal information with an applicable Application Partner (see the “Application Partner Treatment” section above). Our mobile app services available through SLMERC7 Concepts are not intended for children under the age of 13. SLMERC7 Concepts does not knowingly or specifically collect information about children under the age of 13 and believes that children of any age should get their parents’ consent before giving out any personal information. We encourage you to participate in your child’s web experience. SLMERC7 Concepts may amend this Privacy Statement from time to time. Use of information we collect now is subject to the Privacy Statement in effect at the time such information is used. If we make changes in the way we use personal information, we will notify you by posting an announcement on our Site or sending you an email. Users are bound by any changes to the Privacy Statement when he or she uses or otherwise accesses the Application after such changes have been first posted. If you have any questions or concerns regarding privacy on our Website, please send us a detailed message at slmerc7concepts@gmail.com. We will make every effort to resolve your concerns.